This is a fabulous example of the very sturdy build of Colvics. Fitted out to a very high spec indeed, as she was originally used as an instrument testing platform! The spacious interior belies her 38ft and feels so much bigger - a very big open saloon, with wheelhouse, leads to the galley and two double cabins forward. With a good sized flybridge and wide side decks, She would make a fabulous long-distance cruiser or live aboard. I can highly recommend taking a closer look as I expect her to be very popular! The mooring may be available, by separate negotiation with BWML and would incur a berth transfer fee. 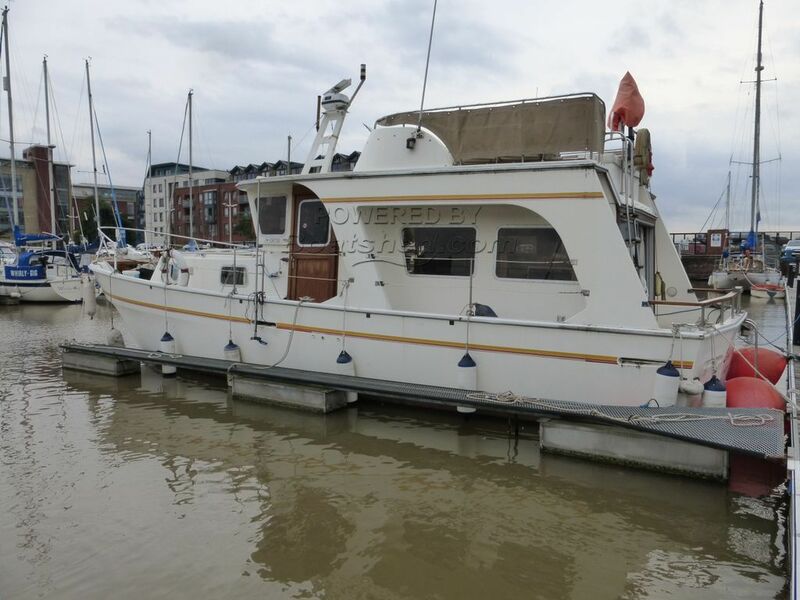 This Colvic Beta 38 Trawler Yacht has been personally photographed and viewed by Paul Watson of Boatshed Yorkshire. Click here for contact details.